It may sound quite strange especially to those who have never tried it before, but buying a good pair of binoculars require some level of knowledge and understanding. 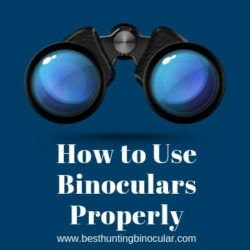 Just like anything else, buying a good pair of binoculars from a reputable brand will provide you with better images than a cheap pair of binoculars brand from a discount store. 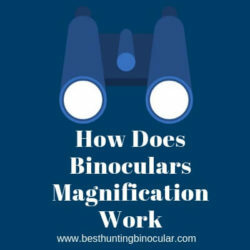 However, one of the most frequently asked questions by the average American outdoor enthusiast is; what are the best American made binoculars on the market? If you are reading this and you want to find out too, don’t worry, you are on the right page. We will be revealing the Top 5 USA made binoculars here on this page. With its headquarters in Lander, Maven is an American company that manufactures top class binoculars, spotting scopes and other related accessories such as bino-harnesses, cases And Tripod adapters etc. They produce high-performance optics that beats the majority of those European brands in all aspects (quality, image sharpness and clarity, and portability). 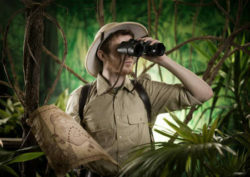 Maven supplies their products (binoculars) direct to their customers and to thousands of retail shops across America. They also supply binoculars parts/component to enable you to build your personal binoculars depending on your specifications. This makes Maven standout against other American made binoculars brands. The company also maintains a stock of various models and designs that are cost-effective and ready to ship anywhere across the world. Maven’s range of binoculars includes Maven B1 Binoculars, Maven B2 Binoculars, Maven B3 Binoculars, Maven B4 Binoculars, and Maven C2 Binoculars. From a humble beginning, the company “Bushnell” is now ranked among the top and reputable binoculars manufacturers in the world. The company is based in Overland Park, Kansas. It was first established in 1948 as a mere mail-order company. Bushnell was founded with the sole intention of providing cheap but quality optical instruments for the middle-class American citizens with a strategy of importing these binoculars from Asian countries like Japan, Hong-Kong, and Taiwan. As time goes by, Bushnell expanded and became one of the top optics brands in America. Bushnell now produces not only binoculars but 15 other different products such as night vision devices, scopes, and other products for outdoor activities such as spectator sports, stargazing, hunting, birding and fishing. Bushnell produces a variety of tactical scopes; the most popular among them are the Elite, Trophy and Legend lines. The Elite 4200 6-24X40 has won them the Outdoor Life magazine’s” Editor’s Choice Award in 2007. “The company has also won “The Best Buy Award” in 2005 and 2006 for their Browning Sports Optics and Legend binoculars respectively. Their current line consists of Banner, Elite Tactical, Forge, Engage, Nitro and TAC series. Today, Bushnell has a leading market share in all the sport optics categories, and their products have consistently won different awards in design and performance from prestigious organizations. The Vortex Optics is an American family owned and managed manufacturer of optical instruments based in Middleton, Wisconsin USA. It was founded in 2004 by Daniel Hamilton. The company is now one of the largest manufacturers of optical instruments for law enforcement agencies, Wildlife watching, hunting, and outdoor recreational sports. Their range of products includes Binoculars, Monoculars, Tripods, Rifle scopes, Spotting scopes, and other optical accessories. Even though Vortex tends to focus more on binoculars used for hunting, bird watching and nature observation, they will always have at least one binocular that will serve most people’s needs. Vortex has more than 210 employees with about forty staff managing the quality and customer service department. Vortex has thousands of dealers across the USA, United Kingdom, Australia Canada, Africa, Asia, and Europe. Some of the most popular Vortex Binoculars include Vortex Razor Binoculars, Vortex Viper HD Binoculars, Vortex Viper HD Binoculars, Vortex Kaibab HD Binoculars, Vortex Diamondback Binoculars, Vortex Fury Binoculars, Vortex Raptor Binoculars, and the great Vortex Rangefinder Binoculars and Monoculars. In 1907, Leupold begins as a family owned business to run and manage by brothers-in-law, since then many more family members have continued engaging in the business. Currently, the company is headquartered in Beaverton, Oregon USA. Over the last ten decades, Leupold Optics has been machining, designing and assembling a quite number of optical instruments. 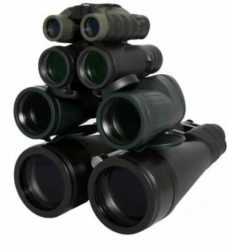 They design and manufacture binoculars, spotting scopes, red dot sight, and telescopic sights. Today Leupold binoculars and scopes are considered as one of the finest in the optical industry. 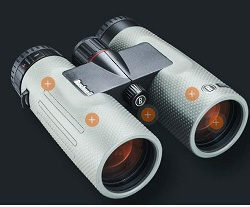 The Wind-River binoculars series from Leupold was introduced in 1994, this line is made-up of binoculars that have been improved and upgraded for nature watching and outdoors. 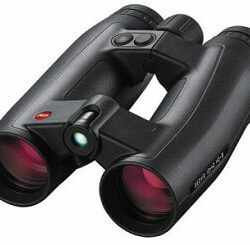 The wind-River binoculars series were later named as the Leupold Green Ring binoculars series from 2001 till date. There are a myriad of binoculars that lie within the Wind River/Green Ring Series and these binoculars come in various configurations. Among which include: Olympic, Yosemite, Mesa, Katmai, Acadia, Mojave, and Pinnacles binoculars among others. The ultimate in quality optics, Burris optics was founded over 47 years ago in 1971, and till today they maintain the highest standards for supplying optical instrument with superior quality. Headquartered in Greeley, Colorado Burris optics offers a complete line of high-quality optics including riflescopes, sights, binoculars, mounts, and reticles for hunting, nature study, and law enforcement. All binoculars from Burris optics features fully multicoated optics, phase-coated prisms, water repelling coatings, diopter adjustments, twist-up eyecups, and ergonomic focus. High-end Burris binoculars are waterproof and Nitrogen purged to protect the binoculars against internal fogging. Burris Optics Is a brand that understands the needs of the American outdoor enthusiast, and that is why they apply the American ingenuity, innovation, science and technology to build the best optics that give the user the confidence to hit a target at any range right on the spot. Burris Optics uses high-grade optical glass to design the best lenses with tolerances measured in 1/10^6 of an inch. The HiLume multi-coatings lens maximizes light transmission, minimizes glare and protect the lens surfaces against scratch. Both Burris Riflescopes and binoculars are built with solid one-piece 6061-T-6 aluminum; they are compact, light in weight and designed to endure a long time of rough handling. Note: All Burris products (be it binoculars or scopes) are all backed by the Burris Forever Warranty; a promise to repair or replace your Burris optics if any part is found damaged. Finally, the above listed are Top 5 American made binoculars brands. They manufacture and deliver the highest quality optics. They offer great customer services better than the so-called European imported brands. Even though most Americans would wish that these companies made their products from scratch to the finish here in the US, the truth is that some parts of their optical instruments are imported from Asia and Europe.